We're really excited to announce that co-founder and editor-in-chief, Steve Cooper, has just launched a new weekly column for Forbes.com that will discuss the business lessons learned from running Hitched. You can "Follow" Steve to get alerted whenever a new column is posted. 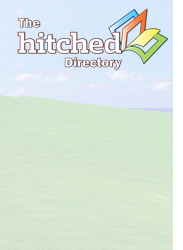 His first post is a short introduction on the launch of Hitched and more importantly, the importance of having a mentor. Be sure to give it a read, "3 Tips for a Great Mentor Relationship."